A board-certified physician assistant, Mark received his master’s degree from Barry University with a physician assistant certification. 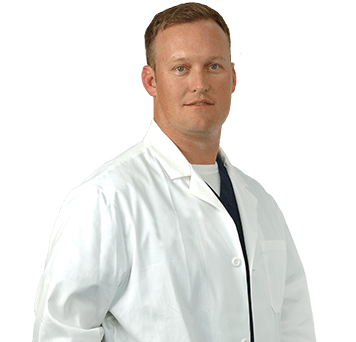 While earning his bachelor of science in biology from the University of Central Florida, he worked in the medical field in a hospital setting. Several of Mark’s family members chose careers in health care, which provided him the impetus to do the same. In addition, he wanted to be in a field where he would feel like he was helping people. Mark chose dermatology as his specialty because he recognized that he would treat a wide variety of disease – everything from cancer to simple rashes. Mark spends considerable time with every patient so they understand the disease process and how to care for themselves. He enjoys getting together in regularly scheduled meetings with Water’s Edge providers to discuss different cases. Mark spends all of his free time with his four children.